R – Right – Good managers always bring in the right people, focus on the right problem and build the right relationships. Focus on having the right team gives you a lot of bandwidth to perform your role effectively (instead of your team member’s role) and improves team performance. E – Ease – Create an environment where the parties who are trying to sustain the relationship are at ease. Being genuine goes a long way to build the trust factor in the relationship for the parties to interact with ease. False projection of skills / capabilities, influence levels & not being open is bound to create issues down the line. L – Look & Listen – Collaboration is the key. To collaborate, look for strengths in the other person & lend a listening ear. Positive attitude and listening skills form a very critical role in understanding the strengths & making the other party feel interested to contribute. If not, the other party would feel that they are in a one-way relationship where one person talks and the other person listens and acts. 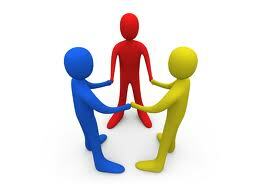 A – Avoid conflicts – The best way to deal with conflicts is to know when they are prone to arise and avoid them. For long / short term relationships, while discussions / arguments are healthy, do not take it to a point of no return. Focus on the issue at hand and do not get personal / pull history into the picture to put the other party down (to win the argument). Folks in compliance & QA roles need to build this skill to resolve conflicts (although their job might require them to point out defects / compliance issues). T – Time – Relationships mature over time. Every relationship needs some amount of exclusive time between the two parties to understand each other’s strengths and needs. Sustaining a relationship with no time to spare to nurture the same might work with childhood buddies but not in work place relationships – as every relationship has an expectation. One needs to spend time to understand the expectation & act appropriately. I – Independence– Understanding everyone has their own personality, helps us appreciate the relationship even more. The independence aspect & giving the other party their space to operate forms a critical component in this regard. Overtly influencing the other party and not giving them the space to think and act might turn out detrimental to the relationship. O – Open up – Sometimes both the parties in the relationship turn out to be opposites. A talkative manager might have a very quiet associate (or vice versa). It is important to help the individuals working in silos to open up. Providing them a space / opportunity to open up, express their thoughts and showcase their talents helps in boosting the self-esteem and building interpersonal skills. N – Notice – No detail can be too small to notice. The effort put in towards noticing & appreciating the initiatives, support, compromises made by the other party inherently helps in motivating the other party to strive better – ultimately helping both parties mutually benefit from the same. S – Speak – What you speak / communicate is a critical element towards sustaining the relationship. Hurting the other party is detrimental to long term relationships. One does not need to play the devil’s advocate role at all points of time during the relationship. Positive strokes go a long way to build a better rapport. H – Help – Seek and offer help where appropriate. Never leave it open that the other party knows / understands what needs to be done. In an associate-manager relationship, understand the areas where the associate / team needs guidance and proactively help them to build their skills & deliver. Ultimately, when you share your knowledge, you try to push up the abilities of the other party as well. I – Integrity - Maintain Integrity. Honesty & integrity go a long way towards building the trust in the relationship. Speaking behind the back of the other party only creates room for a grape vine, does not positively impact the relationship. Rather, being honest and maintaining the integrity of the relationship / calling it quits directly helps both parties to move on. P – People – Understanding people and our relationship with them helps us realize their end of expectations. Be they managers / peers / team members / matrix relationships – each of them have their own set of expectations from us. Understanding & proactively catering to their expectations helps build long lasting relationships. Leave you with a question – Although we put in an equal effort, why do some relationships work better than others ?